Pablo Sandoval homered and had five RBIs to back an uneven start by Madison Bumgarner as the Giants beat the St. Louis Cardinals 13-8 on Sunday. 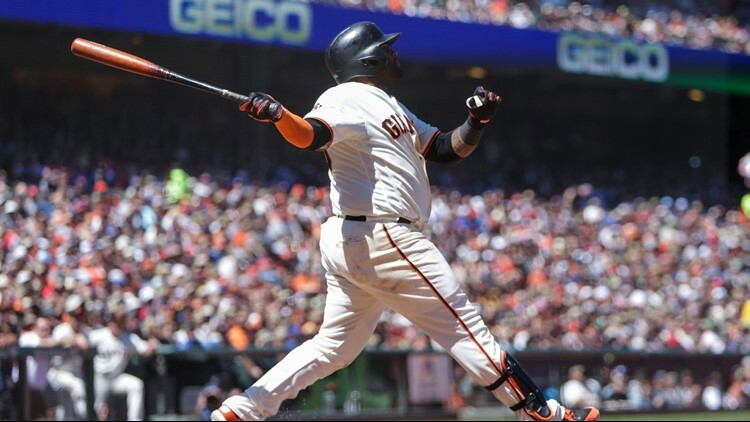 SAN FRANCISCO (AP) - At some point, Giants manager Bruce Bochy plans to give Pablo Sandoval a day off. It's just that Sandoval's bat, coupled with a slew of injuries in San Francisco's infield, is making it increasingly difficult to rest the portly third baseman.